This guide from people protection experts Orbis explores what constitutes as lone working and examines the threats they face, and the legal requirements placed on an organisation that employs lone workers. Orbis can help provide different solutions for supporting and managing lone workers and the creation of a lone working policy. Every employer has a duty of care to its employees, which covers making the workplace safe, providing adequate first aid facilities and ensuring plant and machinery are safe to use. But many employees in a variety of business sectors, from engineering and surveying to estate agents and social workers, spend much of their time working in the field away from traditional workplaces, either alone or with colleagues. This guide from people protection experts Orbis explores what constitutes a lone worker and examines the threats they face, and the legal requirements placed on an organisation that employs lone workers. It will discuss different solutions for supporting and managing lone workers and conclude with some best practice advice. What constitutes a lone worker? There is no common definition of a lone worker across Europe. In the UK, the Health and Safety Executive (HSE) defines lone workers are “those who work by themselves without close or direct supervision”. Croner’s Health and Safety offers a wider definition. A lone worker is one “whose activities involve a large percentage of their working time operating in situations without the benefit of interaction with other workers or without supervision”. And NHS guidance says the term lone worker is used to describe a “wide variety of staff who work, either regularly or occasionally, on their own, without access to immediate support from work colleagues, managers or others. This could be inside a hospital or similar environment or in a community setting”. According to the HSE, lone workers might work alone in a fixed location such as a small workshop, petrol station, kiosk, shop, home office, factory, warehouse, leisure centre or fairground. Or they might be people working on their own outside of normal hours such as cleaners, security, and maintenance or repair staff. Other lone workers are mobile workers working away from a fixed base. They might be workers involved in construction, maintenance, plant installation and cleaning, agricultural and forestry workers, service workers such as postal staff, social and medical workers, engineers, estate agents, and sales or service representatives visiting domestic and commercial premises. The UK working population numbers 31 million people and almost 7 million are considered lone workers, a number that is undoubtedly increasing driven by advances in wireless communications technology and the rising cost of real estate forcing organisations to reduce their office space. In fact, in the last few years, the world of work has changed almost beyond recognition, and the lone worker demographic is shifting too, with traditional office-based workers increasingly spending more of their time working alone. These days, work can be done, alone, from just about anywhere: from a home office, on a train while travelling to a client meeting or even in a local coffee shop. The increase in employees working away from their traditional office based environments is generally regarded as a positive step; but it is worth noting that an employer’s Duty of Care still applies and includes staff working from home during contracted hours. While research suggests that many lone workers are more productive and happier than their office-based counterparts, employers face real challenges to ensure employees’ safety, especially given the stark threats. There were an estimated 649,000 incidents of violence at work according to the 2012/13 British Crime Survey, comprising 332,000 assaults and 317,000 threats. In 2012/13 148 people were killed in the course of their work. Of course, not all the incidents involved lone working, but isolation can increase the risks to workers’ safety and security. Despite there being no single definition that encompasses those who may face lone working situations, it’s generally accepted that these people face increased risks to their safety and security. The three main risks are: violence and aggression (physical and verbal), often from the very people the workers are trying to help; occupational risks (such as slips, trips, falls, electrocution); and personal wellbeing risks, including health issues caused by a known medical condition or brought about by being in stressful situations. The risks are different for each group of workers. Public sector staff, transport staff and retail workers face threats of abuse or violence from members of the public (more than one in three working alone in the community has been assaulted or harassed in the last two years, according to research from the Royal College of Nursing). Other employees such as shop workers, security staff or warehouse workers might in addition be at further danger from the risk of robbery. An engineer, construction worker or maintenance staff are at risk of an incident occurring by an accident or an underlying medical condition while working alone. And people working from home might suffer the psychological effects of loneliness and isolation. An injury or illness can be disastrous for the individual and for the organisation. Employees can suffer serious physical and mental repercussions, while the employer can be impacted through staff retention and recruitment costs; increased absenteeism through sickness; low productivity; litigation against the organisation; and negative publicity. The law requires employers and others to think about, and deal with, any health and safety risks before people should be allowed to work alone. Under the Health and Safety at Work Act 1974, employers have a general duty to maintain safe working arrangements and can receive a fine of up to £20,000 and/or 12 months imprisonment for breaches of general duties. The Health and Safety (Offences) Act 2008 amends the 1974 Act, increasing the penalties and providing courts with greater sentencing powers for those who breach health and safety legislation. The Management of Health and Safety at Work Regulations 1999 requires employers to assess and counter health and safety risks before allowing staff to work alone. This legislation, which came into force in April 2008, places the greatest emphasis and liability on employers to protect lone workers. Large and medium-sized companies can now be found guilty of corporate manslaughter for deaths arising from management failures which constituted a gross breach of a duty of care. And with a reverse burden of proof, the employer is guilty until proven innocent, so negligent employers can much more easily be convicted. Since the act came into force there have been four prosecutions, and a large rise in the number of corporate manslaughter cases opening. Research by law firm Pinsent Masons shows an increase in charges from 45 in 2011 to 63 in 2012. The first prosecution, in February 2011, was against Cotswold Geotechnical Holdings. Alex Wright, a geologist for the company, was on his own investigating soil conditions in a deep trench on a development plot in Stroud when it collapsed and killed him on 5 September 2008. The company was fined £385,000 under the act and had its appeal against conviction turned down. There have been a number of subsequent prosecutions including: Lion Steel £480,000 fine + £85,000 costs and JMW Farms £185,000 fine. As the above highlights the financial cost to an organisation is high; but there is also the risk of further financial loss from negative publicity to an organisations brand. The HSE advises employers that they have a legal duty to notify and consult with safety representatives about the jobs of employees who work alone. These responsibilities cannot be transferred to any other person, including those people who work alone. It is the employer’s duty to assess risks to lone workers and take steps to avoid or control risks where necessary. Some organisations simply ignore the problem and risks completely – often with disastrous consequences. A major lift company had no lone worker support in place when a lift engineer working alone in a lift shaft, fell, and later died. He wasn’t found for eight hours. Organisations that ignore the risks can now be found guilty of corporate manslaughter, should the worst-case scenario unfold. Other organisations review working patterns. It may be possible to avoid situations where staff work alone. For example, rather than allocate cleaners to different rooms or floors of a building, they could work as a team across the facility in a system known as flow cleaning. Some organisations have introduced daytime cleaning, which, as well as ensuring cleaning staff are not working in isolation, encourages the building’s occupants to appreciate the service and those who provide it. A white board system has traditionally been a popular approach for organisations employing lone workers. A white board, placed in a prominent position in the office, records the names, locations, schedule and mobile numbers of all lone workers. The lone worker checks back into the office and has their whereabouts updated on the board so that should an incident occur, the organisation knows their whereabouts. The downside is that the white board may only be monitored in office hours (whereas the lone worker may work unsocial hours) and if the person responsible for managing the board is off sick, on holiday or just snowed under, the board will get ignored. An up-to-date and accurate whiteboard is a rare occurrence in most offices. 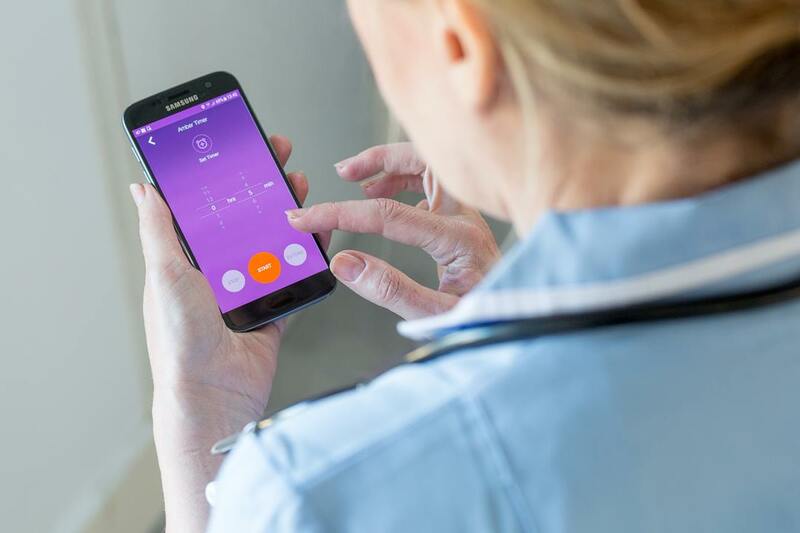 To comply with the law, manage the risks and support lone working staff, many organisations – from local authorities to blue chip organisations, employers are embracing new mobile technologies. This is a less costly solution to employing more people to act as back-up, and there are various options. The level of protection needed will vary depending on the risk level of the lone workers. The HSE advises that lone workers should be capable of responding correctly to emergencies, which can be achieved through adequate training including training in established emergency procedures. The two relevant industry standards for lone worker protection in the UK are British Standards BS8484 and BS5979 CAT ll. BS8484 covers the quality and suitability of key components used for the protection of lone workers, including devices, the service provider, the monitoring and the response are required for the delivery of a robust and effective lone worker solution.  Police throughout England, Wales and NI require accreditation to BS8484 and monitoring via a BS5979 Cat ll ARC in order to guarantee a response. 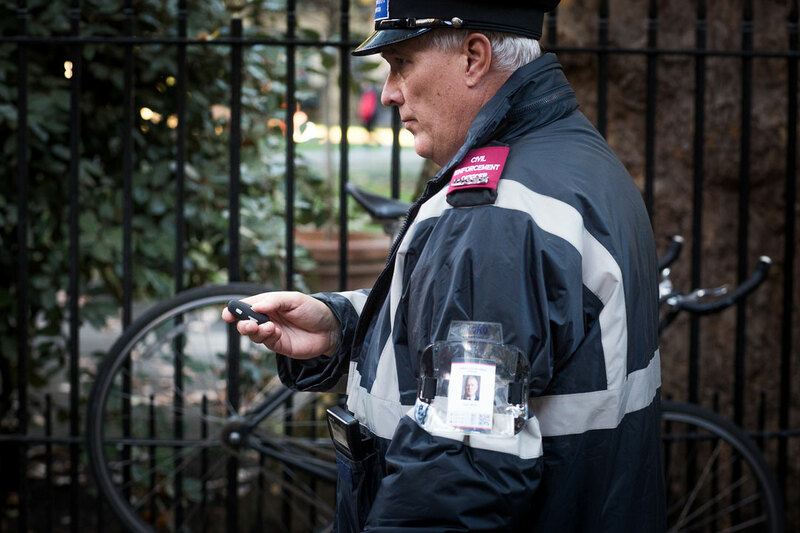 Any communications technology is only as good as the centre monitoring and responding to calls. BS5979 covers the management and operation of Alarm Receiving Centres (ARC). Introducing lone working protection technology enhances staff welfare and productivity: staff are likely to be more efficient and productive if they know they are safe during their working day; there are clear efficiency gains as the same services can be completed with the same or less staff; and because employees feel well supported and well looked after, they have higher job satisfaction and greater loyalty to their employer. From the perspective of the organisation, the moral and ethical codes have changed. Boards now have a responsibility to protect their workforce where possible – or in the eyes of the law to “take reasonable actions to avoid harm”. In many cases, this requirement can be fulfilled by providing staff with low-cost, technology-based solutions. The benefit of lone working support was demonstrated when a female parking attendant in Bristol was subjected to a tirade of abuse and threats while issuing a parking notice to a driver who had parked illegally in a disabled bay near the city centre. 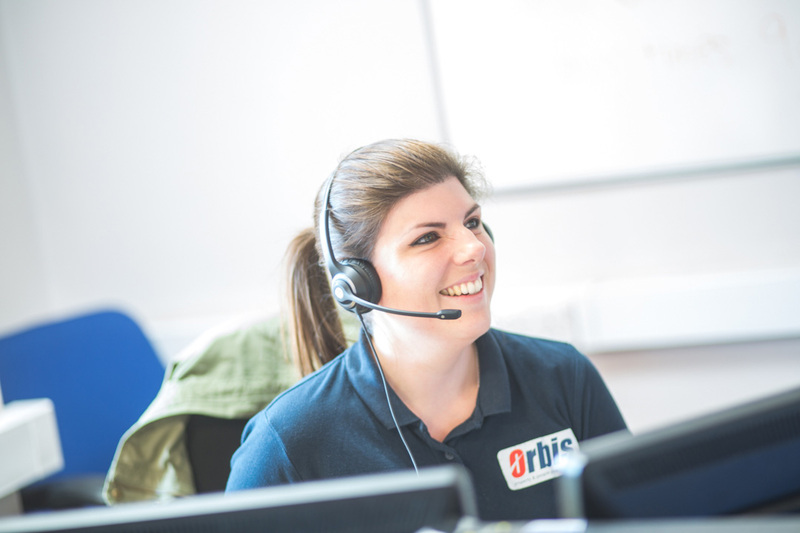 She pressed the dedicated panic button on her ruggedised mobile phone and within seconds she was discreetly connected via the Vodafone network to a response team operator at Orbis’s BS5979 Cat II Alarm Receiving Centre (ARC), with all audio being recorded. The operator remained on the line and began to initiate the pre-agreed emergency response procedure set by Bristol City Council. The man was later arrested and found to be in possession of several knives. The police commended the quality of the audio captured between the device and the digital recorders, and were confident of upgrading the severity of the offence and securing a conviction. All employers have a duty of care to their staff. Supporting those who often work alone will not only protect them, it may just protect your reputation and business. Organisations must have systems in place to assess the risk of certain activities and introduce a safety culture that operates organisation-wide. Businesses that fail to create a strong safety policy by not addressing the welfare of vulnerable staff, such as lone workers, face onerous fines and severe reputational damage if the worst happens. Identify and categorise the job roles performed as low, medium or high risk. Identify any staff who may have an increased risk due to any underlying medical conditions. a swifter response time, if required. Introduce your technology solution as part of a change in safety culture. The services and solution have to be embedded in your organisation’s culture and result in a real change in staff behaviour. For just a just small investment in time and money, the return can be substantial. For example, an employer could reasonably expect lone workers to have fewer sick days due to physical and emotional injuries. And by encouraging staff to work from home, employers could substantially reduce their office overheads. The Suzy Lamplugh Trust help and support people to stay safe from violence and aggression through the provision of free safety tips, they also manage the National Stalking Helpline and delivering community projects. The main law governing health and safety at work in the United Kingdom is the Health and Safety at Work etc Act 1974 (HSW Act). This places general duties on you to do what is reasonably practicable to ensure health and safety. The Health and Safety Executive is responsible for ensuring these laws are followed, they offer free support and advise for employers. 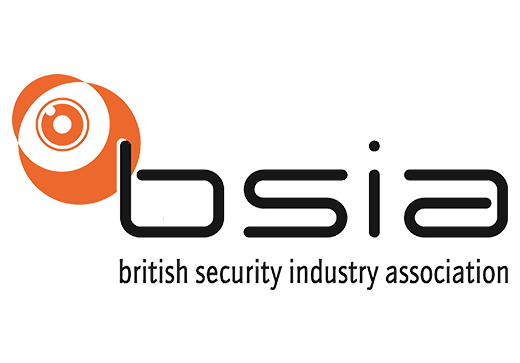 The BSIA’s Lone Worker Section consists of BSIA members who specialise in providing lone worker safety products and services to customers from a wide range of industry backgrounds.